There are many things to investigate about solar dealers/installers. This section lists all relevant installer qualifications. But it takes considerable time and effort to gather all this information about each installer, much less several, and it is difficult for most customers to evaluate the information properly and choose the best one. The explanation of these difficulties is at How Not to Shop for Solar. That's why I offer a free service by phone or email to help SCE customers find a top-notch installer. I have winnowed the 1,300 solar installers in SCE's service territory down to the few top ones, using my contacts in the solar industry. I then researched those few down to the ground and chose just a single one for each part of SCE's territory. These are the only ones I refer shoppers to. Reasurrances: I'm not selling anything; no pressure. I don't reveal any contact information unless you specifically ask me to, and even then only to a single installer. And I'm not connected in any way to any solar dealer, installer, or company. I am completely unbiased and independent. If any that I recommend stop doing high-quality work, I'll replace them in a heartbeat. For details about this service and notes about me in video or text, please visit Home Page. Some dealers only do solar installation and electrical work, leaving roofing to roofing specialists. This can make good sense, because few solar dealers are also roofing experts. Well-trained personnel may have studied at Southern California Edison's Energy Education Center, California Solar Initiative, California Energy Commission, and the California Public Utilities Commission. Good dealers will have years of experience installing and servicing many residential PV systems. The roofer should have had plenty of experience installing systems on roofs of the same type as yours (e.g., tile, asphalt, wood shake). It is preferable that the dealer use its own employees, rather than subcontracting work to another company (unless just roofing). Their staff should mostly be permanent employees, have full benefits, like their jobs, be treated well, and be known to be competent and courteous. The best certification for solar dealer/installers is issued by the North American Board of Certified Energy Practitioners (NABCEP). It is considered the solar industry's "gold standard of certification. It requires certain levels of education and experience, passing a rigorous competency exam, and adhering to a strict code of ethics. It is a plus if the dealer belongs to reputable solar organizations. Members of the California Solar Energy Industries Association (CALSEIA) must follow industry best practices and adhere to a code of ethics. There are also industry groups for qualified roofing contractors, such as the National Roofing Contractors Association (NRCA) and the Roofing Contractors Association of California (RCA of C). Roofing material manufacturers like GAF and Owens Corning single out some of their certified dealers as "preferred contractors." All PV dealer/installers should carry General Liability (G/L) insurance and Workers' Compensation (WC) insurance. They should also be bonded. Recommendations from a random selection of a dealer's customers might be helpful. You should get a list of many references and should call at least three. Seeing some of their installations in person is worthwhile. Finally, BBB accreditation with few or no complaints is a slightly positive sign. Yelp and other sources of online user-ratings are usually of limited value, because no matter how good a dealer is, a few customers are bound to be unhappy and write copious complaints on these sites. At the same time, no matter how bad a dealer is, a few customers are bound to be happy with their service and say so online. It's a rare dealer who will have enough user reviews to be meaningful and enough difference in number of good reviews versus to make for a clear recommendation. In addition, Yelp screens its reviews by its own peculiar criteria, so many reviews are hidden that still might be relevant. 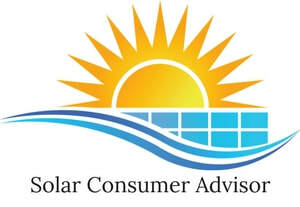 * “Find a Contractor for Your Solar Installation,” California Solar Initiative, Step 2.